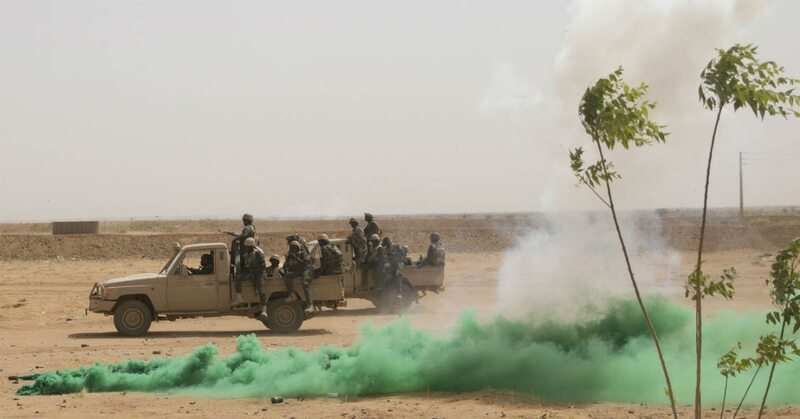 But the Pentagon continues to struggle with the task of ensuring the right gear is going to these indigenous forces and that such projects are sustainable, according got the GAO. Of 21 Global Train and Equip projects undertaken in 2016 and 2017, just eight resulted in improved capabilities for the local forces, according to the GAO. Reasons the projects failed included proposal design shortfalls, equipment suitability and procurement problems, partner nation failings and staffing shortages, the GAO report found. The Pentagon’s track record in assessing the effectiveness of such projects has been minimal as well, according to the GAO. Of 262 Global Train and Equip projects undertaken by the Pentagon from 2006 to 2015, just a third of the initiatives were assessed for efficacy, according to the GAO. Nearly $2 billion was allocated for such projects in fiscal years 2016 and 2017 alone, according to the GAO. 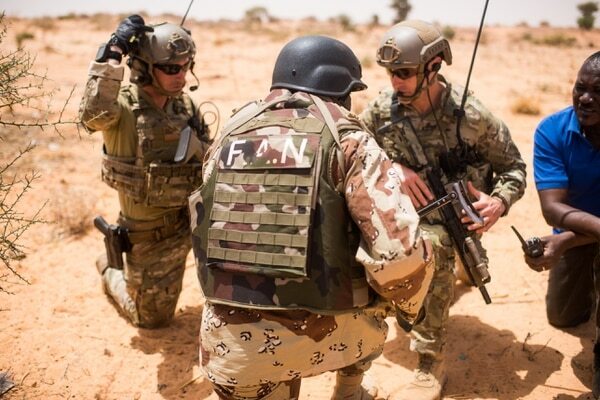 Those projects included nearly $83 million in force structure and counter-terrorism training to Niger, where four U.S. soldiers were killed last year in a battle with Islamist extremists. Among other efforts, about $132 million was doled out for helicopter and artillery needs in Kenya and $83 million was allocated for Tunisian intelligence, border training and helicopter programs. The lion’s share of the funds in 2016 and 2017, about $865 million, went to gear and training efforts in Jordan and Lebanon, according to the GAO. This week’s GAO report follows a 2017 Defense Department Inspector General assessment that also found problems with the Global Train and Equip program. That IG report found the Pentagon had failed to develop a program strategy with clear objectives and an overarching plan for execution, nor did it allocate enough staff and resources to effectively manage the sprawling effort. It also found that project proposal guidance “was not sufficiently instructive or enforced,” and that project proposals did not always include enough information regarding costs, risks and benefits. The IG report also noted that updates provided to Pentagon and State Department leaders, as well as to Congress, had not been “sufficiently informative in explaining the collective impact” of the program. Pentagon officials are supposed to consider project objectives and the ability of a partner nation to absorb new capacity when deciding to proceed, according to the GAO. An assessment of the country’s current capability and future sustainment needs are also supposed to be part of the equation, but the GAO report found that only happened in less than 75 percent of the proposals. DOD officials countered that some projects did not require long-term sustainment. GAO also notes that the Pentagon has made improvements in ensuring that all four factors are part of these multi-million-dollar projects. The U.S. may consider ceasing its massive train-and-equip program of Iraqi forces if they continue an offensive against Iraqi Kurds in Kirkuk, the Pentagon said Monday. Pentagon officials told the GAO that “an informal quality review process” was enacted to ensure that proposals include all four elements, but the GAO report urges that the DoD put such a review in formal writing to better track the program’s efficacy. Only 19 percent of proposals included information on whether a partner country could absorb the new tools or training in 2015, but that percentage has risen to more than 80 percent as of 2017, according to the GAO. Improving that percentage involved the DoD tweaking its proposal template, the report states. “According to DoD officials, they updated the proposal template to better identify problems with absorptive capacity because of its importance and because it is an area of high congressional interest,” GAO investigators wrote. Officials told the GAO that assessing whether a country can take on first-world weapons systems or training is a challenge. “One senior official also noted that pressing national security goals, such as quickly developing the capabilities of strategic partners for ongoing operations, required the U.S. government to assume some risk by supporting a project without fully assessing or documenting a partner nation’s absorptive capacity,” the report states. Some projects have failed to achieve their goals due to poor designs that fail to reflect the realities of a partner nation, according to the GAO. Partner nation shortfalls in various projects have included the receiving government not using assistance in the intended way, inability to maintain equipment and difficulties in manning and training receiving units, the GAO found. “For example, the 2016 assessment report for a 2015 project found that, although the recipient unit was able to plan and execute more complex operations to combat regional threats, such as Boko Haram, in a professional manner, the assessment team received no evidence that the unit had played more than a minor role in counter-Boko Haram operations,” according to the GAO. The report also notes that a 2013 project was stymied due to the low education levels of the local forces that hindered their ability to operate and maintain modern combat systems. One 2015 project was hindered because the uniforms and helmet procured for the local forces did not match the body size of those local forces, according to the report. A 2012 project was hindered because the Army didn’t have a contract to obtain diesel vehicles from a specified manufacturer and had to rely on vehicles for which there were no dealerships in the host country, the report states. One 2016 assessment of construction projects found that firms weren’t willing to go to remote locations for the projects, and that the local government sometimes failed to keep up its end of the deal, according to the GAO. “The assessment found that relying on a partner nation to provide the additional funds frequently results in the construction not being completed,” the report states. While DoD officials told GAO investigators that pre- and post-project assessments and monitoring of the projects had been inconsistent in past years, the department was working to improve its track record. Pentagon officials cited insufficient staffing and high turnover among security cooperation officers at U.S. embassies as reasons why oversight had faltered in the past, according to the GAO. “The officials overseeing project implementation may not have been responsible for project development and are less likely to understand the capabilities of the intended recipient units or the capability gaps that could be addressed by equipment and training,” the GAO report states. An increase in funding for the Global Train and Equip program left staffers swamped, according to the GAO, with three people generally managing all the projects at a combatant command, according to the GAO. Pentagon officials told the GAO they are taking steps to increase staffing in these areas. DOD officials concurred with the GAO’s recommendations to ensure all four parts of a project proposal are followed. The State Department, which partners with the DOD on such projects, did not respond to the GAO’s recommendations, according to the report.